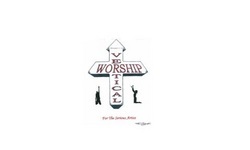 Angela D. Brown is the founder of Vertical Worship Creative Arts Ministries. She has been dancing for the Lord since 1991. She currently resides in South Carolina. Originally from Brooklyn, New York, where she developed her creative arts craft while serving in a large church. She relocated to Austin, Texas in 1996, where she led dance ministry for 15 years after she was ordained as Minister. She also mentored others in dance while challenging them to surrender their all to the Lord. She hosted annual conferences, leadership and prayer summits and creative arts concerts that drew people from across the country. In 2010, Angela established an organization called “Vertical Worship Creative Arts Ministries” (VWCAM), of which she was ordained as Pastor in 2012. In 2012, the Lord birthed the “Winning the Lost thru our Art” Concept. It is her desire to see Creative Artist use their various art forms to win the lost, broken hearted and backslidden to Christ. Vertical Worship – What is it and how do I do it?